Historical Anniversary Tourbillon with its back closed. We told you about the F.P. Journe teaser announcing something about celebrating 30 years of… Today, we know that it is about the limited edition Historical Anniversary Tourbillon, a reinterpretation of the first pocket watch with tourbillon, created by the French master in 1983. 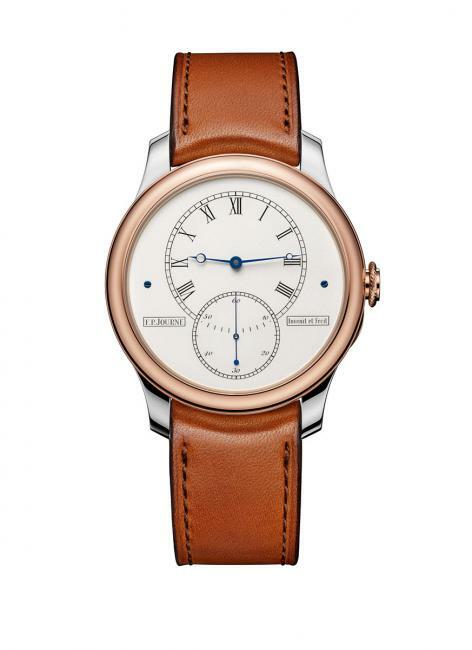 To celebrate 30 years of exceptional watch creations and commemorate his first pocket watch, François-Paul Journe is presenting a new interpretation of the original in the form of a wristwatch. 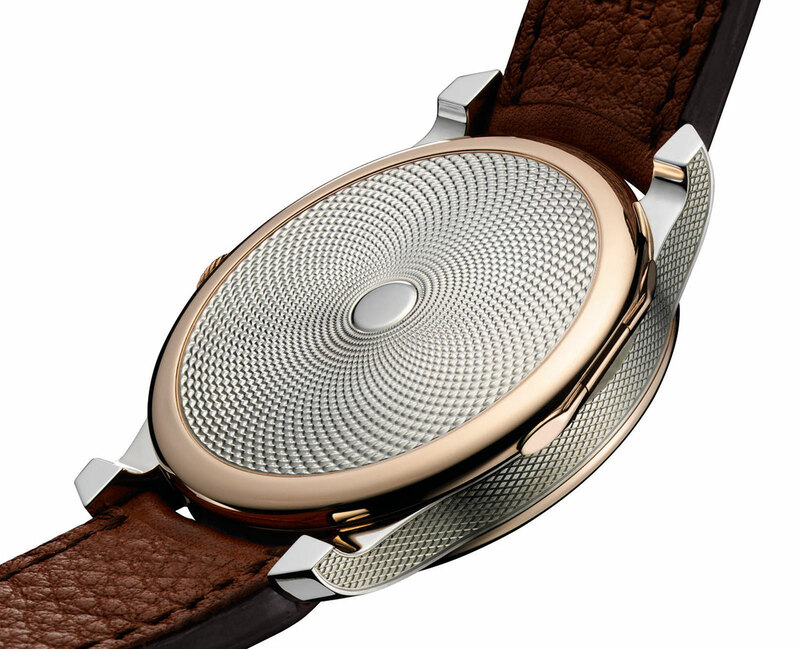 99 pieces only of this watch will be produced. This wristwatch, re-interpretation of the original masterpiece presents the same materials used 30 years ago: a case in guilloche silver enhanced by 2 gold bezels in rose gold 4N. 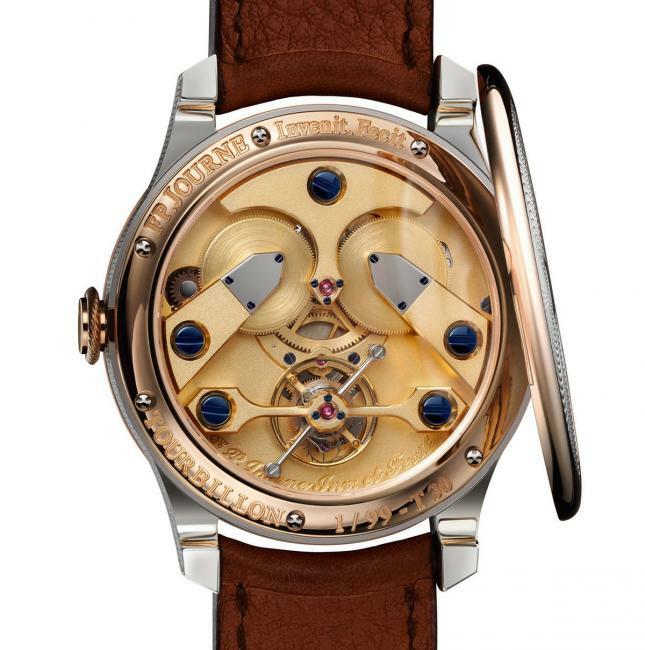 The transparent sapphire back reveals the tourbillon movement of classic construction made in grained and gilded brass, identical to the original of 1983. Two parallel barrels distribute energy to a wheels train, arranged in the axis of the watch, which runs the Tourbillon revolving in 1 minute. The lateral pallet escapement, which is more compatible with a wristwatch, replaces the detent escapement of the original, and the winding and time setting with a key have now been replaced by the 3 o’clock crown. Made today in the workshops of the Manufacture, the movement features high quality components, with nowadays elaborate polishing, beveling and finishings that weren’t possible at the time. It encompasses a sobriety and a nobility of first generation tourbillon movements made by the great Masters. The movement is protected by a splendid case back cover in silver guilloche. The dial in grained silver is engraved with filled roman numerals and a steel hour circle, identical to the original tourbillon of 1983. The hours are indicated by blued steel Abraham-Louis Breguet hands, identical to those of the original pocket watch. The limited edition of this Historical Anniversary Tourbillon will allow 99 privileged clients to be part of a chapter of the F.P. Journe’s extraordinary watch journey and thus possess a part of its history. It was presented as a Premiere on October 18 in Tokyo, also celebrating the 10th Anniversary of the first F.P. Journe Boutique. 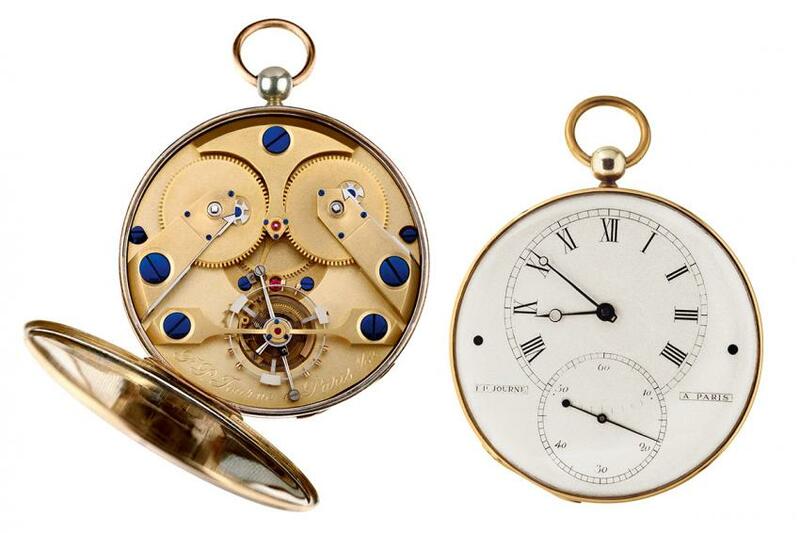 This Anniversary commemoration is the opportunity for François-Paul Journe to present for the first time, his first pocket watch with tourbillon.